Lately I have been extremely caught up with some personal & professional commitments, but now I am back with the bang! I am planning to post more per week and share with you some really exciting lifestyle stuff, fashion and beauty finds and lots of trip tips and ideas for the places to go! Since Summers are coming to an end and we are officially entering in the Fall season soon, I decided to share my last summer look of the season. You can shop them through the links! 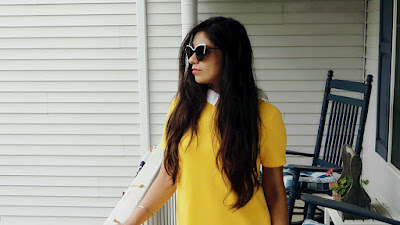 I am sharing with you one of my favourite dresses which I call - 'Sunshine Dress' from Zara. This is a perfect pick for the sunny summer or Fall day with friends for a Hi-tea party or a shopping spree! 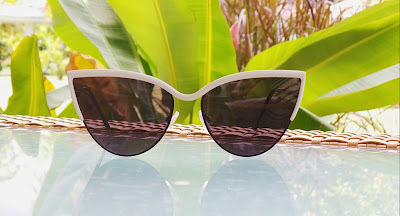 I am also sharing with you my latest craze in sunglasses - Vyeeyewear. These are not only trendy and edgy but are 100% UV protected and polarized. Now this is what I call a perfect summer look! So make your last few summer looks memorable ones! That is a cute dress and I love that shade of yellow! Ooo me likey! Those sunnies give me Kris Jenner vibes! Gorgeous color on you. Love the dress and I could see myself adding some tights underneath and rocking in the fall. Great look. That dress is amazing! Beautiful Blog. This dress is perfect! I love the mod feel. You look so cute in yellow, girl! Such a perfect end of summer look! 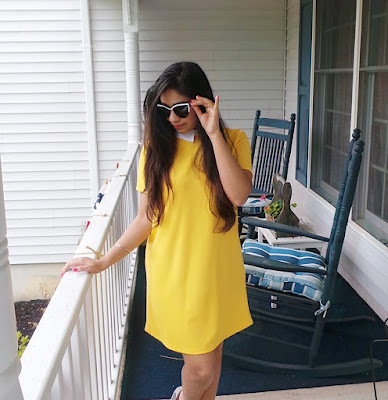 I love this yellow dress!